This is exactly what it says on the tin. 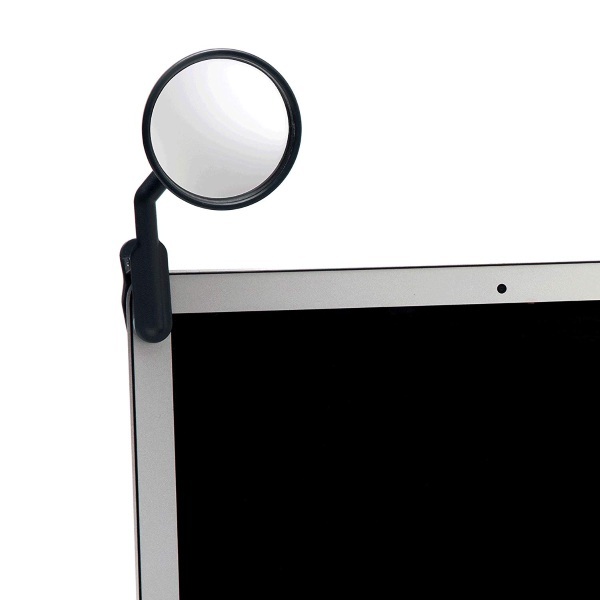 It clips onto your workstation, monitor, laptop, and allows you to see behind you. Never worry about your boss sneaking up on you or that chatty coworker you don’t like, always have eyes in the back of your head. The mirror clips on so it’s not a permanent fixture and can be moved without an issue. Place it where you need it, put it away when you don’t need it. Move it from station to station without a problem. You can get one of these handy dandy mirrors for $14.99.